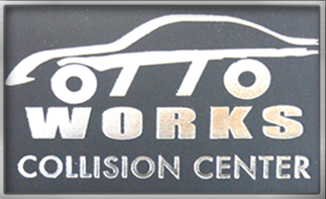 Otto Works Collision Center is a Family Owned business. Brandon and Crissie Lindquist have owned and operated Otto Works for the past 15 years. The shop is the East Valley provider for the service areas of Apache Junction, Mesa, Gold Canyon, Queen Creek, Globe and Florence Junction. We are dedicated to providing the utmost comprehensive customer service experience when you need it most. We understand the frustration that can sometimes appear after you are involved in an accident and while the repair process is taking place. With dedication to the details and processes to get you back on the road in a timely manner, Otto Works Collision Center works hard to make the repair process as easy on you, our customer, as possible. From the moment you walk in the door, our goal is to earn your trust and business with honesty, integrity and excellent customer service by providing a quality, comprehensive, thorough repair on your vehicle that includes a Limited Lifetime Written Warranty on our work. Otto Works, the 2009 Small Business of the Year, is an insurance specialist in the repair industry . Focusing on customer service, the repair process and quality outcomes. The customer's complete and full understanding of the repair process, and continual communication and updating is paramount to the best possible outcome.